This will be my second season supported by the Dave Rayner Fund, and I am truly grateful to everyone on board. I started racing at my local BMX club at the tender age of 3. I am a bit of an all-rounder, mixing BMX (until the age of 12), Mountain Biking and Road, but turning my focus to the road as I got older. It was always tough for me as a Youth and Junior being one of the youngest in my age groups but my determination and love of cycling drove me on. I grabbed my first international win as a 2nd year U-16, in the Mayo Youth Tour, Ireland, and in 2013 I won a Bronze medal at the Island Games in Bermuda at the age of 16. Being a first year Junior was tough, but as well as learning a lot I finished with some solid results, including a 3rd place on the final stage and 5th Overall in the Isle of Man Junior Tour, I also placed 5th on stage 4 of the Junior Tour of Wales; In my second year as a Junior I finished 3rd in the Bath Road Race (National Series), 3rd on stage 2 of the Junior Tour of Wales also finishing 2nd Overall in the Points Competition. I visited Belgium towards the end of the 2014 season to get a feel for the racing; I placed 2nd and a 9th from two races. I really enjoyed the experience and found it really suited me, which made my decision easier on wanting to return to race there in 2015. 2015 was my first season as an under 23 racing mainly in Belgium. I gained valuable experience and want to continue to do so, using it to good effect during the 2016 period. I also competed in my second Island Games where I collected an Individual bronze and contributed to 3 team golds. Racing my first 5 day stage race (Ronde Van Vlaams Brabant) was one of my best but hardest experiences of the year, learning new things each day. 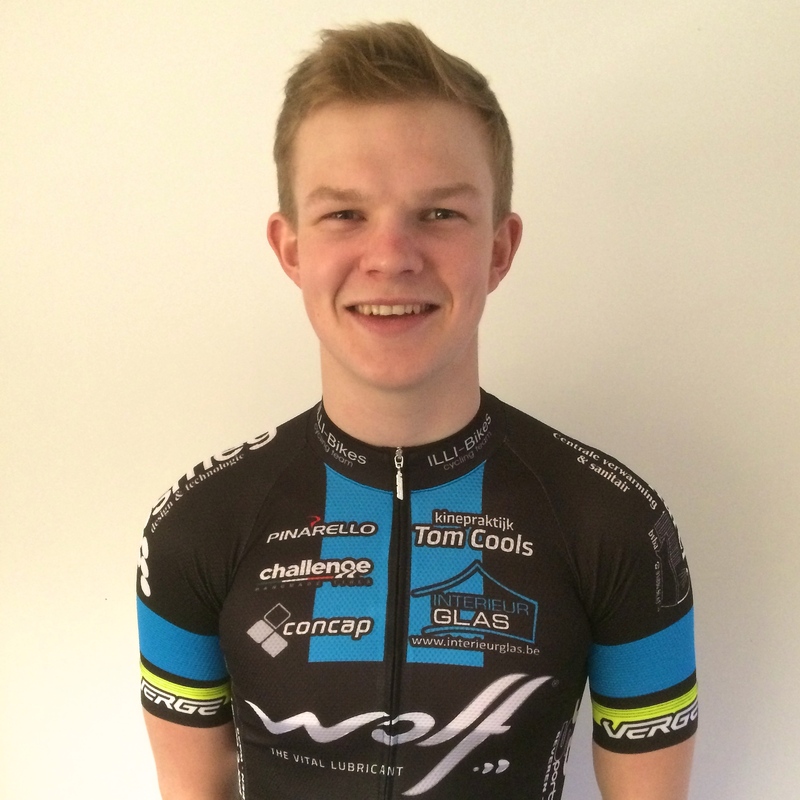 For 2016 I will be once again riding for Belgium based ILLI-Bikes Cycling Team. For an amateur team we have a fairly big squad, mostly Belgians but also a few Australians, a kiwi and myself. The team has existed for many years now and it seems to be growing bigger and better each year. The support from all the staff is great, being well looked after in all the races and knowing if you have a problem with your bike it will be sorted no matter what. The 2016 race programme with consist of Belgium Cup, Interclubs and Local kermesses. I will be returning home on the 10th April for the prestigious Manx International one day race around the famous TT course. This will be part of the British Cycling Premier (Elite Series) Calendar Series. I will also be competing in the British National Championships in June, which is one of my goals for 2016. I would also like to be selected for one of two stage races on our programme, Ronde Van Oost Vlaanderen which is a U-23 race only.